High-strung Governess battles two ghosts for the souls of children assigned to her care. 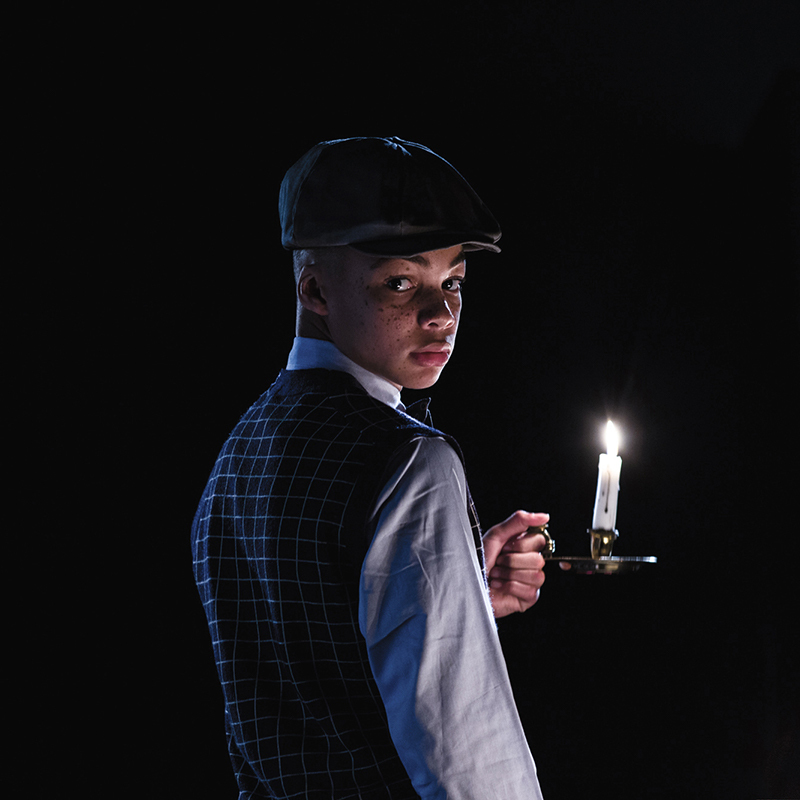 The Governess, a nervous and inexperienced young woman, is in over her head. Or has she lost her mind? Miles and Flora are two of the sweetest, most perfect, gloriously angelic children you could ever hope to meet. Except when they’re possessed by demons. Mrs. Grose, the old housekeeper, is no help at all. She may actually be making things worse. Miss Jessel, the former governess, had to leave Bly—and then she died. But now she’s back. Peter Quint, the master’s former valet had “free and easy ways.” He cracked his head open on an icy road and died. So why is he here now? At Bly, a British country house, in the mid-nineteenth century. At a big, beautiful, empty English country house, a naïve young woman takes up her position as Governess to the niece and nephew of a handsome young man who lives in London. The uncle instructs the Governess that he is not to be contacted or disturbed, no matter what happens; she is in charge. At first, all seems well. But soon enough, the Governess’s resolve is tested. She gets a letter from Miles’s boarding school: they’ve expelled him, as he is “a danger to his classmates.” The Governess sees a mysterious man atop a tower and an eerie woman on the other side of a pond. The housekeeper further worries the Governess with mysterious and lurid tales about former employees of the house, who are supposed to be dead. Eventually the Governess comes to believe that the children are being controlled by people from their past. She resolves to do battle with the ghosts. The children are the battleground; and, like most wars, this one will result in death and misery. In many Italian and French operas, the characters come onstage and sing us exactly what they’re feeling, loud and proud. But in British opera, characters tend to conceal their emotions. Certainly the emotionally tortured characters of The Turn of the Screw would never speak about their feelings; the Governess wouldn’t dare, and the kids don’t know how. So the words they sing to each other often obscure the characters’ true emotions. But their music communicates everything they won’t let themselves say. The clanging chimes of the nearby village church unnerve and disturb the governess, and when we starts seeing ghosts the music gets really strange. 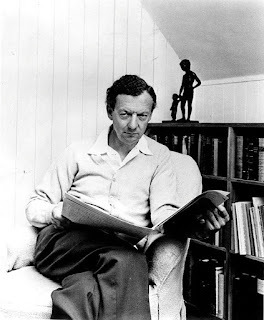 "A sea-change into something rich and strange"
Britten’s ear always sought the unfamiliar; his operas are stuffed with original, unusual sonorities. For The Turn of the Screw’s haunted English country house, he’s constantly torquing music that should be familiar and reassuring into the bizarre. Young Miles, for instance, practices for his piano lessons, like all good little English boys, but there’s something dementedly wrong about his scales and exercises. The clanging chimes of the nearby village church unnerve and disturb the Governess, and when she starts seeing ghosts the music gets really strange. The tiny orchestra for Turn of the Screw associates Miss Jessel with the gong and Peter Quint with the celesta, a bell-like percussion instrument played by a keyboard. Britten uses the very deep alto flute to connote the unspeakable grief of a child who has lost his primary caregiver. One of the opera’s most magical musical moments is the first vocal appearance of the dead, when the ghost of Peter Quint calls to a sleeping Miles, with an alluring siren-song. It’s almost reminiscent of the traditional Islamic call to prayer from atop a mosque. Twentieth-century composers, desiring an alternative to traditional Western tonal harmony, developed the elaborate rules of dodecaphonic (or “twelve-tone”) music. The math game involved is almost a musical version of communism; no one note in the scale can be ‘king’ (tonic) or ‘priest’ (dominant); no note can be repeated until all twelve have been sounded. Britten's twelve-tone Screw theme divides into equivalent tetrachords, each a segment of the circle of fifths. This kind of music has been a godsend for theatrical composers seeking to unsettle and disturb audiences—in scary movies, for example, or operas on disturbing subjects. Britten was not a twelve-tone composer. But he uses a deceptively tonal-sounding twelve-tone row as the basis of much of the music in The Turn of the Screw, introducing each scene with ingenious variations (“turns”) of the theme (the “screw”). This structural principle gives the opera musical coherence and organic unity while contributing to the claustrophobic nightmare that is suffocating the Governess and her two young charges. Benjamin Britten became the first important British opera composer in 250 years with the premiere of his extraordinary masterpiece, Peter Grimes, in the final days of World War II. It was a game-changer: an opera that spoke with an irresistibly powerful human voice, brave enough to confront and indict the conformism and hypocrisy of British society and to ask difficult questions about good and evil. Peter Grimes is a grand opera, as are Billy Budd (1951) and Gloriana (1953, an opera about Queen Elizabeth I written to celebrate the coronation of Elizabeth II). But Britten was also adept at composing operas on a smaller scale. He wrote The Turn of the Screw in 1954 to fulfill a commission for the Venice Biennale, tailoring the role of Quint to the vocal talents of his partner, British tenor Peter Pears. Thanks to its modest size (small orchestra, cast of six, no chorus) and brilliantly intense fusion of music and drama, The Turn of the Screw quickly spread around the world. From the well-known novella by the Anglophilic American writer Henry James. (Other adaptations include the films The Innocents and The Others, and Steven Spielberg is reputedly working on a new film adaptation.) Myfanwy Piper, whose husband had designed sets for several of Britten’s operas, suggested the story to the composer and wrote the libretto exactly to his specifications. She knew that Britten, obsessed as he was with stories about the corruption of innocence, would respond with fantastic music. 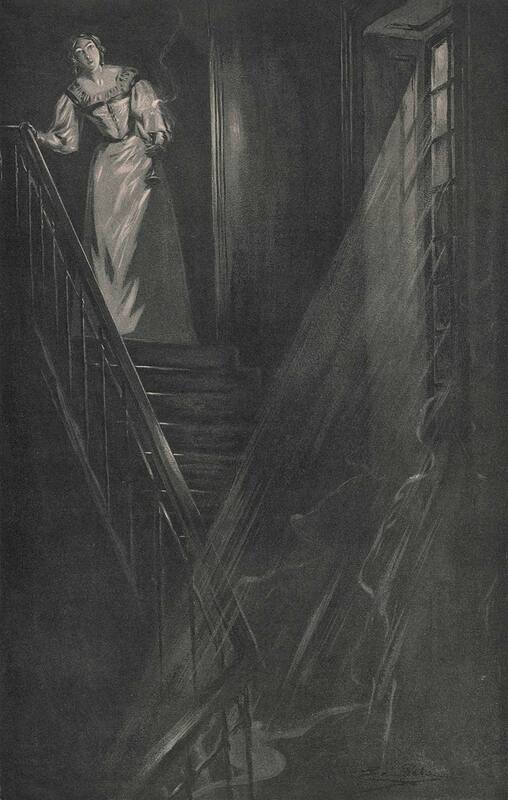 Episode illustration by Eric Pape from one of the original twelve serial installments of The Turn of the Screw which ran in Collier's magazine in 1898. In adapting James’s story for the theater, Piper incorporated a great line from a poem by W. B. Yeats: “The ceremony of innocence is drowned” (from “The Second Coming”). In the opera you’ll hear the two ghosts sing these words at the start of Act Two, in unison, to the opera’s underlying ‘Screw’ theme (Britten’s twelve-tone row). In James’s novella, the ghosts don’t have any lines. In fact, the novella never answers the question that’s on everyone’s mind: do the ghosts really exist, or is the Governess imagining them? In the opera, the ghosts sing a duet. Does that answer the question about whether or not they exist? No; all a stage director needs to do is bring the Governess onstage, so that we see her listening to the ghosts’ duet, for the audience to wonder whether they only exist in her mind. Director Peter Kazaras returns to Seattle Opera, where he has been a mainstay of the company since 1985: leading tenor, character tenor, Wagner tenor, teacher, director, and head of the Young Artists Program. He sang Quint when Seattle Opera first gave The Turn of the Screw, in 1993, and directed the chamber production (given in Bellevue) in 2006. 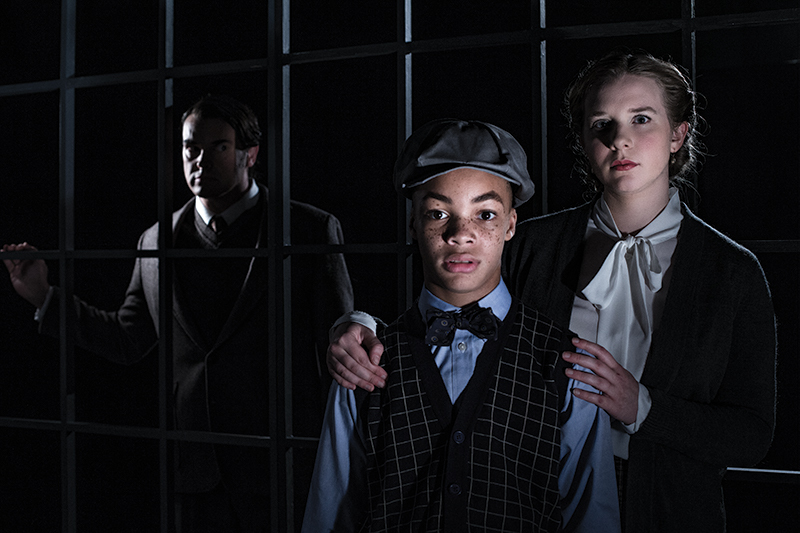 Local designers Robert Dahlstrom (sets), Deborah Trout (costumes), and Connie Yun (lighting) join him for a labyrinthine new production which promises to present all the ambiguities of this enigmatic masterpiece. Peter Kazaras as Peter Quint in Seattle Opera's 1993 production of The Turn of the Screw. Kazaras is returning to direct our 2018/19 production.